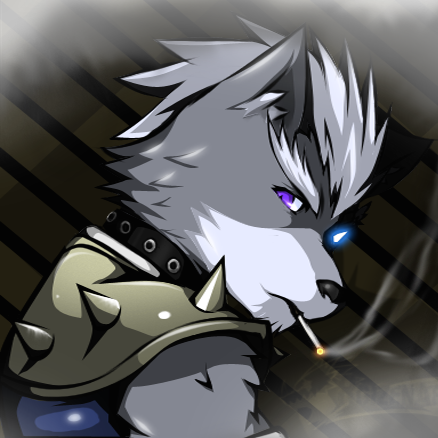 Slice updated Clover to rev3224, I will test whether it supports the first two method. I will post the feedback later and make a detailed guide. 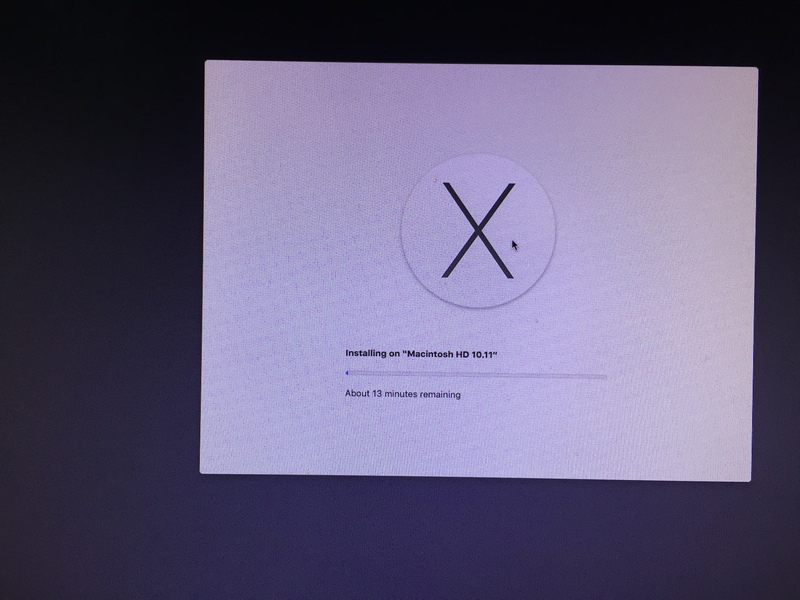 After downloading the full installer package from the Mac App Store, I quickly tried to install this new OS X 10.11 system on my hackintosh build. 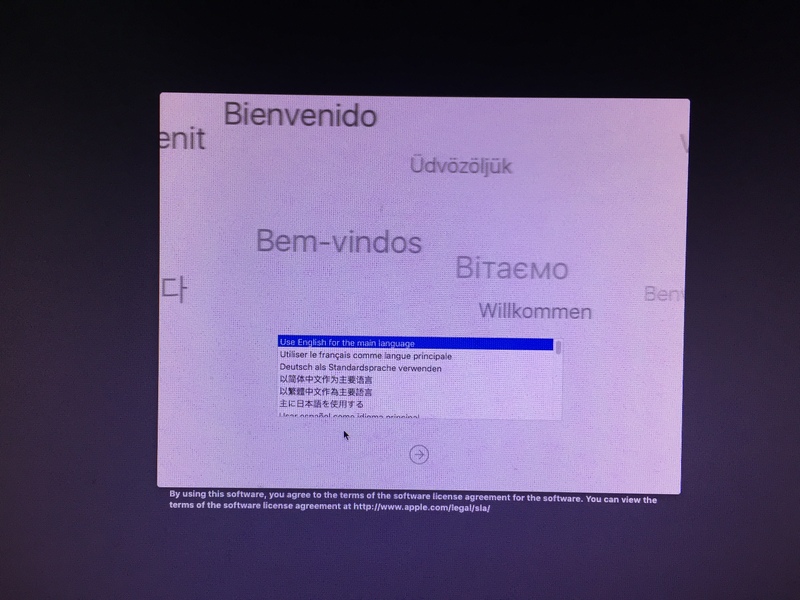 So far, OS X El Capitan 10.11 is working fine on my computer and you can take this post as a short tutorial. Since it is obvious that Clover cannot fully support or recognize this new OS, we have to place our essential 3rd-party kernel extensions in /EFI/Clover/Kexts/Other. Basically, there are three ways to install the new-released system. However, the first two methods will end up with failure. 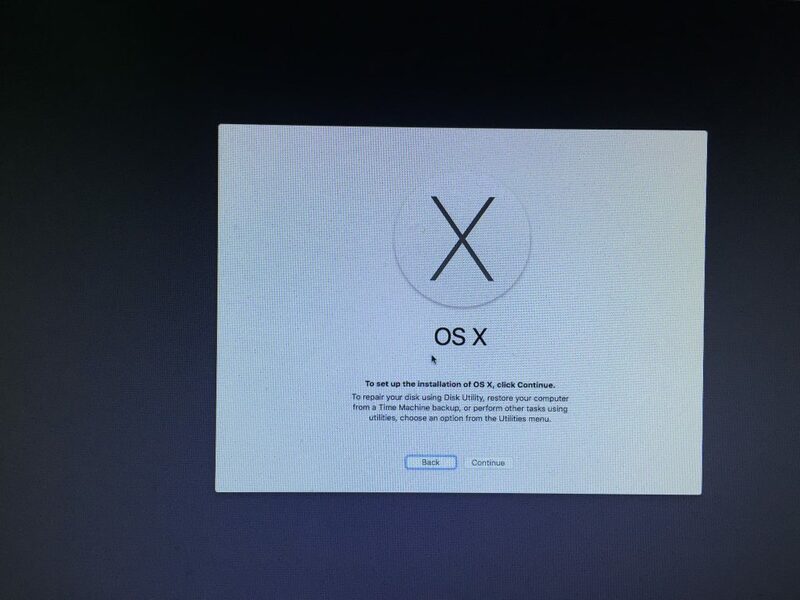 (1) Method 1: Upgrade directly from the current OS X. 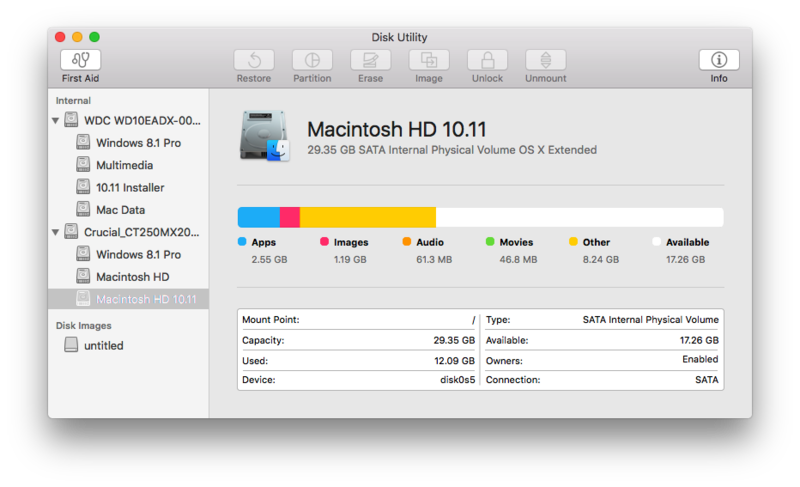 Directly run the installer “Install OS X 10.11 Developer Beta.app” and select the target disk to begin the first installation stage. After rebooting the system, you may find that Clover fails to inject 3rd-party kexts such as FakeSMC.kext even though you use boot with injected kexts mode. The third method is as usual. Mount the InstallESD.dmg and then mount the BaseSystem.dmg inside it. Use Disk Utility to restore the BaseSystem.dmg to your USB stick or a hard drive partition and delete the alias named Packages in /System/Installation. Then copy the Packages folder located at InstallESD.dmg to /System/Installation on your USB stick or hard drive partition. Finally copy the BaseSystem.dmg BaseSystem.chunklist and Payload folder to the root directory of your USB stick or hard drive partition. 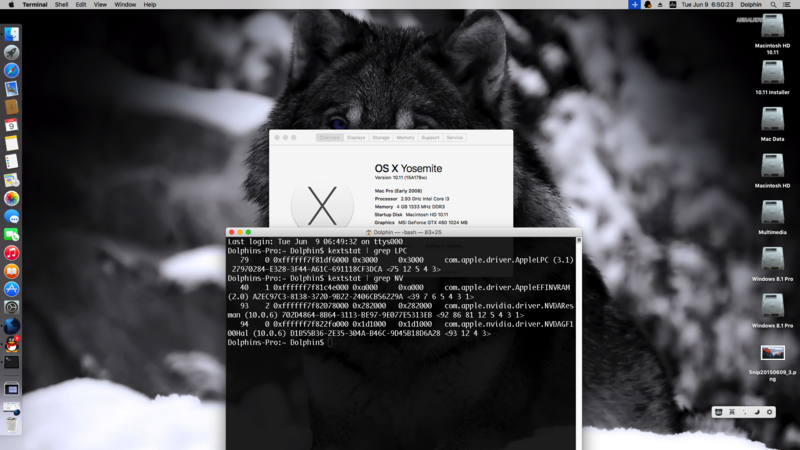 Then reboot to Clover, select your USB stick and boot with injected kexts, and you will see the OS X 10.11 installer. And here is my desktop with System Information. 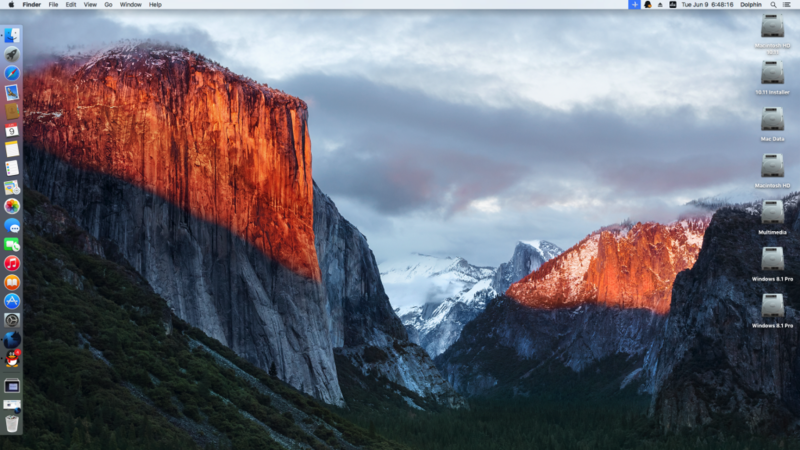 BTW, the new desktop wallpapers are awesome. So far, the power management and speed-steps for i3-530 works fine with MacPro3,1 SMBios definition. GTX460 works great with Clover’s Inject Nvidia = True. ALC888 legacy version is also working by recreating a patched AppleHDA. RTL8111D/8168D works with Rehabman’s RTL8111.kext. If you have any questions, feel free to leave comments. I will approve your comments as quickly as I could. Also I am considering to create a short video on how to create a custom bootable installer for Hackintosh.